Family life is busy and this last week has been no exception. Getting back into the school routine had taken its toll on all of us and we were missing all of our quality family time that we had in the holidays; a 2 day weekend never seems long enough does it? The kitchen needed cleaning, the bathroom needed cleaning & the rest of the house needed a little dust (especially the skirting boards as there’s not much chance of me reaching those at the moment considering I can’t even reach my feet & our regular cleaner doesn’t come for long enough to fit that in!). Time is short and family time is precious so when Toby Carvery invited us to leave all the jobs behind for a day and go out and spend some time together over a roast we jumped at the chance. We booked a meal at the Toby Carvery in Buckhurst Hill for 2pm & the PR team for Toby arranges some cleaners to come round and give our home a 4 hour deep clean the very next day. This meant that we could leave all the jobs behind without giving them a second thought to have some good old fashioned family fun. After our first full week back in the school routine this felt like such an amazing treat. 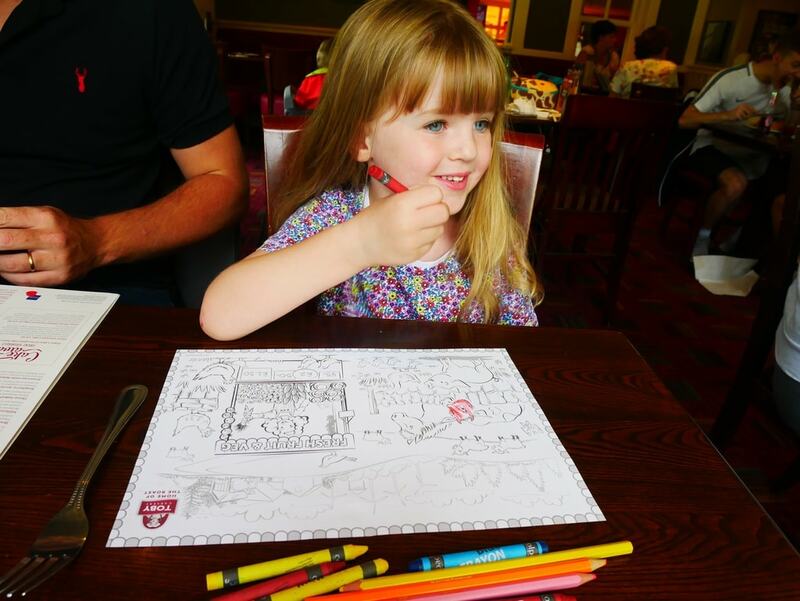 It was lovely to leave all the jobs behind and completely forget them to enjoy a delicious roast and be able to all sit down together and listen to all Lily’s stories about school, play I-Spy together and just have some much needed quality family time. We love a roast dinner but you know what it’s like, if you cook one at home the preparation and cooking takes a good 2 hours out of your day and if your anything like me you spend the whole time you’re eating dreading the huge pile of washing up in the kitchen – roast pans are always the hardest to scrub. I feel this ruins the whole roast experience so we always prefer to eat a roast out and let someone else take care of all the hard parts like peeling and chopping potatoes and veg, making Yorkshire pudding mix and more importantly – the dreaded washing up! The roasts at the Toby Carvery are delicious. The meat is perfectly cooked; I had the lamb and it was melt in the mouth delicious. 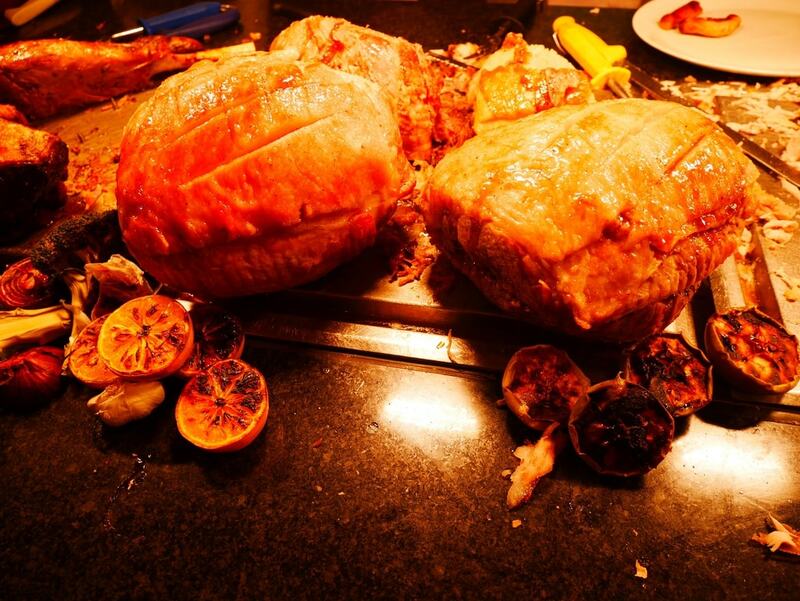 The Toby Carvery has only recently added Lamb to their Sunday Menu making their Sunday Roast a 5 Meat Carvery. The roast potatoes were fluffy and as for the Yorkshire puddings Lily tucked into hers and said “ohhh this is lovely and light” (I think someone may have watched too much Great British Bake Off!). The veg was perfectly cooked and there was such a wide variety to choose from including peas, carrots & broccoli. The Toby Carvery also have a Menu which you can choose from for those who don’t fancy a Carvery meal and they even now have a kids Menu including things like Chicken Nuggets (although they do only come with one side which I found a little odd the first time we went as usually with a kids meal you would expect a protein option, a carb option and a veg option). We easily got round this though by giving Lily some of our carvery roast potatoes! As a family our favourite part of eating out is always the puddings! Toby Carvery have a great selection of puddings to choose from. Mike & I went for the hot apple crumble with a little cinnamon, Mike had his with Custard and I had mine with Custard and Ice Cream. Lily had the Chocolate Fudge Cake and Ice Cream; thankfully Lily didn’t try and eat all of it as it was huge! The puddings were amazing and I’ve fancied that apple crumble again all week since. The Toby Carvery is very popular and as such you can expect to queue for a table on a Sunday if you want to eat anytime after about 1:30pm; even if you have pre booked a time. So if you are like me and prefer to eat out when it’s a little quieter and are not a fan of queuing then my top tip would be to book a table for sometime between 12 and 1. We had a lovely Roast & Pudding at the Toby Carvery and it was also lovely that the home had nice spring clean (well Autumn clean but I’m not sure that’s a thing!). Disclosure: We were given our meal at the Toby Carvery & Our 4 hour house clean FREE in exchange for an honest review.